However, given today’s increased emphasis on academics, it is no surprise, then, that according to psychologist David Elkind in 20081, children today play eight hours less a week on average than their counterparts did two decades ago. 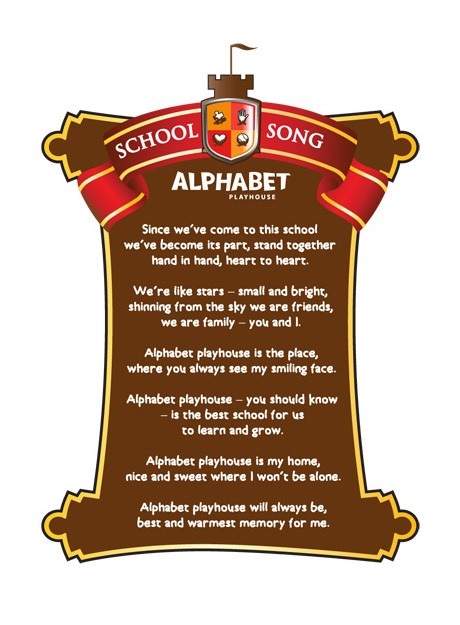 This is even though play has been shown to have positive effects on a child’s learning experience. 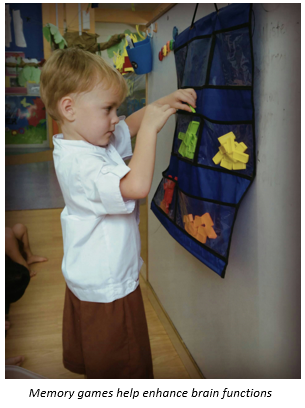 In fact, it has been suggested that play, especially in the form of memory games, helps children develop their brains, adapt to unpredictable situations, and improve their problem-solving and creative thinking skills. A twenty-year study conducted by the University of Pennsylvania3 supports this, indicating that cognitive stimulation through play at ages four and under (a child’s formative period) aids in the development of a child’s cortex, or his/her grey matter, further on in his/her teens. Sessions of play have also displayed the potential to release BNDF4, a chemical essential in brain cell growth and development. Recent developments in preschool pedagogies and teaching styles have also shown that play does not need to be the direct opposite of study and classroom activity at all, especially at the preschool level- perfect news for parents worried about managing their child’s work-play balance. 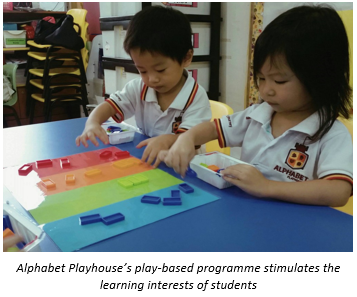 In play-based programmes such as the preschool programme offered by Alphabet Playhouse, children are exposed to flash cards and memory games to introduce and reinforce various Mother Tongue Language (MTL) skills, such as character/word and play using such tools and toys, helping children to both have fun and learn at the same time. Play-learning can also occur outside of the classroom. Parents can also reap the positive rewards of play and these memory games on their own- a variety of free online resources, such as the ones offered by sites such as www.learninggamesforkids.com, will also allow your child to learn, develop his/her memory, and have lots of fun.